This article will disclose, Python Program to Reverse a Number using Python While Loop, Functions and Recursion. 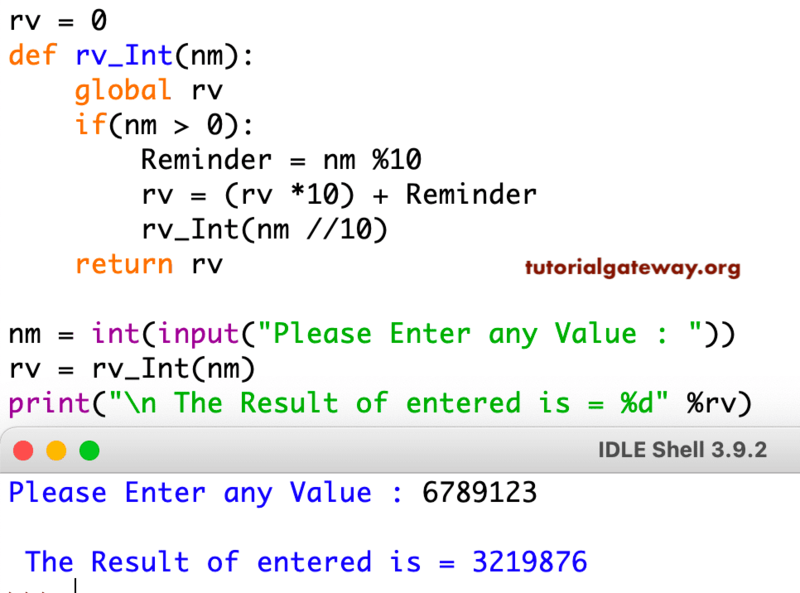 This program to reverse a number in python allows the user to enter any positive integer and then, that number is assigned to variable Number. We already explained the code LOGIC in the above example. Please refer Python Program to Reverse an Integer Using While Loop Analysis. Last line ends with return Reverse statement. In this Python reverse number function, below statement will help to call the function Recursively with updated value. If you miss this statement then, after completing the first line it will terminate.